I love books! I have many beautiful leather-bound editions of classics on my bookshelf. They are precious to me! And I don’t just own these classic books – I have also read many of them. I love to read classic authors such as Charles Dickens, Mark Twain, Edgar Allan Poe, Alexander Dumas, and more. But one author who I’ve never enjoyed as much as the rest, no matter how hard I’ve tried, is Shakespeare. Egads! I know that just typing those words is probably complete sacrilege in some homeschooling circles. But honestly, I have a hard time figuring out how to even read the words and have them make sense. For our homeschooling, I often choose some of the harder classic books as read aloud selections. But I can’t even figure out how to read Shakespeare aloud sometimes! Huh?!? Seriously, if I were just reading this passage with no help from anyone else, I would breeze on by and have no idea what I was actually reading. That’s why I was happy to get my hands on a copy of How to Teach Your Children Shakespeare by Ken Ludwig. I received this product for free and I was compensated for my time, but all of my opinions are honest and I was not required to post a positive review. Ken says that Shakespeare’s works and the Bible are the two great bedrocks of Western Civilization and I believe he’s right. The more familiar we are with these works, the more they will help to unlock many other classic books, movie references, and more. In How to Teach Your Children Shakespeare, Ken uses different approaches to help our kids become familiar with his writing. First, he recommends that we work with our kids on memorizing passages. He not only recommends which twenty-five passages to start with, he also lays out a technique for memorizing which is very effective. Ken is intentional about leading his reader through the process. He quotes Shakespeare throughout the book to help them become familiar with the language. He explains the vocabulary. And he talks about the backstory and the characters. We found these tools to be extremely helpful in understanding what we were reading. In the past, I’ve read the book A Midsummer Night’s Dream, I’ve seen the play, and I’ve watched the movie and I still wasn’t sure what the book was fully about. Listening to Ken’s explanation of what was going on and of the motivation of the characters made the plot of the story much more clear – not only to my boys but to me as well! And in this book, he also tackles Twelfth Night, Romeo and Juliet, Macbeth, Henry IV, As You Like It, Henry V, Hamlet, and The Tempest. I still can’t say that we love Shakespeare around here. But I do love that Ken has put together a system to give us a better appreciation for his writing. I’m also grateful that he includes other resources in the back of his book which will give kids an even greater understanding of what they’re reading and why they should read Shakespeare in the first place. And on Ken’s website, he provides free access to printable quotation pages and recordings of the passages he suggests memorizing. These recordings are especially helpful so that our kids can hear Shakespeare read in the way that he intended. I also love how Ken acknowledges that there are many more successful ways to teach kids about the classics than by just expecting them to sit down and read the books! Who Would Most Benefit Most from Reading How to Teach Your Children Shakespeare? How to Teach Your Children Shakespeare is extremely helpful when it comes to teaching Shakespeare to your kids and helping them develop a love for his work. Consider getting your copy today! For more information, visit his website or follow Ken Ludwig on Facebook or Twitter. What is your experience with teaching Shakespeare to your kids? Could you use any help? Have you found any tips that you could share with us? Please leave a comment below. Like this resource? Please pin this for later! Okay this looks amazing. I want it! We’ve done some Shakespeare but it is hard to explain. Awesome review Michelle. Thanks, Jen! Yeah, Shakespeare is CRAZY difficult to understand without a guide. Ken is a great guide! Trust me, Jen —- if you get this book, you’ll be saying , “where the heck was this when I was in college?” Ken makes it SO clear. this looks like a great book! We just studied Romeo and Juliet and found a book from the library that had a modern translation side by side with the original english. We found that very helpful! It clarified many sections of the play. That sounds like another great resource! If you think of the name of it, I’d love to have you come back and post it for us. Thanks! Oh, I’ll have to check out the No Fear Shakespeare books as well. Isn’t it wonderful how many helpful resources are out there?!? It really is wonderful that there are so many resources! I’ve really enjoyed the No Fear Shakespeare because it has one page with the original Shakespeare, and then an adjacent page with a modern translation so it’s much easier to understand and readers can “get the point” of that section. I often found myself covering up the modern translation and reading the original first to try to figure it out, and then reading the modern page to see how close I was. 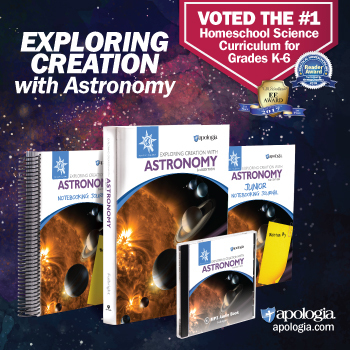 Isn’t it wonderful how many different tools there are out there to help homeschoolers – and everyone who wants to learn, actually. Thanks for the recommendation. I’ll have to check that one out. The way you’re using it sounds like a good idea! It honestly is so wonderful how many resources are available for all different types of people and learners! That’s part of the joy of homeschooling, but also as you said, just learning in general as well! Yes, you’re so right. It’s wonderful that there are so many diverse resources at our disposal. Anyone can learn pretty much anything if they just look around a little bit. Thanks so much for stopping by!